I know in TV you are limited with the amount of time you are allowed to park your RV in your driveway or on the street. Typically only a few days to allow you to load and unload for or from a trip. So this begs the question. Where do you leave/store your RV until the next trip? Is there somewhere in TV that you can do this? How much does it cost? Or do you have to leave/store it outside TV? Thanks in advance for all the great answers I KNOW I will get here on TOTV. It's everyone's responsibility to foster "Personal Responsibility". 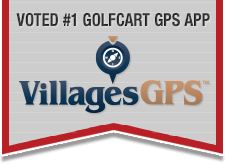 There are 2 RV parking lots in The Villages. One is near the woodworking club building which is on Rolling Acres Road, the other is not far from Freedom Point on Camino Real. There is typically a 12-18 month wait for a spot in one of the lots. The lots are gated. A spot large enough for a 36' motor home costs about $45 a month. There are several private parking areas just outside The Villages. Cover all on 301, Good people, safe. We use Secure Covered Storage behind Alliance Coach on 44. Top notch spot to park your RV when you want the best. Mallory Square, Village of Hadley and now Gilchrist! Visit Matt and Gail's homepage!